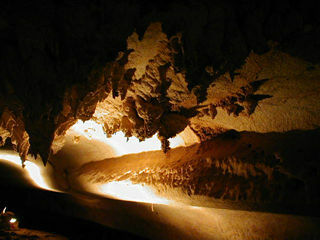 We are going to visit some limestone caves in the park. On boat we went to the Park HQ and from here, about one hour' s walk on the boardwalk, got to the mouse of the caves. 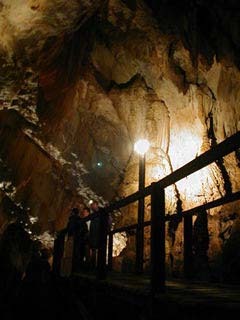 Some caves are open for visitors, lit inside and wooden path are built. 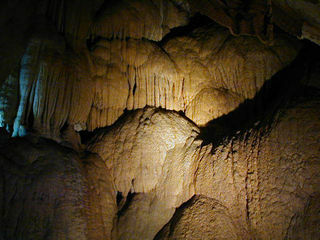 They are called the Show Caves. 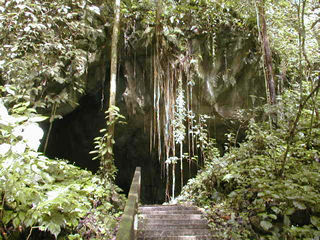 The first cave we entered was called Lang's Cave. Those white limestones are really fantastic. 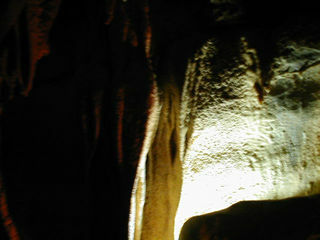 I have seen some limestone caves before, but these stones are more whiter than any other caves. Going ahead, the ceiling is getting high. Thanks to these pathes, we can safely walk inside the caves. It's really wonder to see such white stones under the ground, isn't it ?